Charlie Appleby saddled the brilliant winner of the Craven Stakes – today’s Newmarket feature - courtesy of Masar 12 months ago and that colt went on to finish third in the 2000 Guineas before going on to Epsom Derby glory. Masar has not been seen on the track since his classic success although connections remain hopeful he will race as a four-year-old and is quoted at 10/1 with BetVictor for the Arc at Longchamp in October. In the opener Breath Of Air (1.50) has the opportunity to race on fast ground for the first time and Ryan Moore is booked for his reappearance. 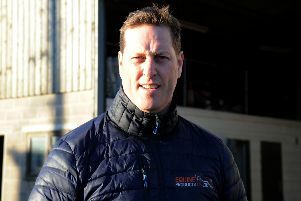 The form of the selection’s Newbury win on his second start was given a boost when the second Mohaather landed the Greenham at the weekend and a draw in stall one next to the far rail is considered a plus. The colt is 5/2 (from 9/4) at BetVictor and I am looking forward to the reappearance of this Bated Breath colt. Brando is looking to win the Abernant Stakes for the third year running and trainer Kevin Ryan has saddled the winner of this Group 3 sprint four times in the last five years. Brando is a worthy market leader – 13/8 at BetVictor – but Dreamfield (3.00) has an exemplary record first time out, was not beaten far by Brando in the July Cup and is open to further improvement after just the six career starts. The selection is 10/3 at BetVictor and looks sure to give the hat-trick seeking Brando a severe test drawn next to the far rail. At Beverley, Attainment (4.00) just lost out in a bob of heads at Lingfield – polytrack – last week and he is taken to go one better reverting to turf. Lightning Attack represents the yard of Richard Fahey and all associated with the yard would dearly love to win today’s race named in honour of the late Laura Barry who worked for Fahey and died of cancer last July the day before she was due to be married. It would be poignant success if Lightning Attack won but I just favour Attainment. I’m going to give Nicky Henderson’s Darius Des Bois (3.50) another chance after he disappointed on soft ground at Sandown last time. 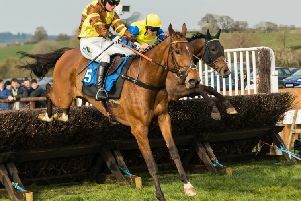 The selection has subsequently been off the track for two months which suggests connections found something amiss last time and I do remember him finishing a never nearer 7L second at Sandown on his penultimate start when he gave every impression stamina was very much his forte.